A U.S. court has ordered Apple to fork over $368 million (UK£231, AUD$353) to a U.S. company in a FaceTime patent dispute. 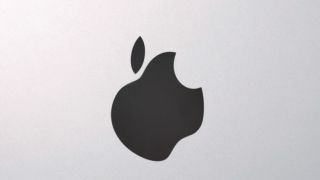 The prosecuting company - Connecticut-based VirnetX - claimed the FaceTime feature in several Apple devices infringes on patents owned by the firm. VirnetX originally sought $708 million (UK£442, AUD$680) however it looks like, pending an appeal, it will have to settle for almost half. Though Apple likely won't miss a few hundred million from its billions in quarterly profit, VirnetX's win potentially backs up a claim filed with the U.S. International Trade Commission (ITC) that could lead to a sales ban of some of Apple's most popular products. According to its website, VirnetX is an internet security software and technology company with patented technology for 4G LTE security. Its court case centered on allegations that the FaceTime application on the iPhone, iPod touch, iPad and Mac computers violate four VirnetX patents registered between 2002 and 2011. If Apple wanted to use its patents, VirnextX claimed, should have paid license fees for technologies that include a method of creating a secure communication link between different types of computers using Tunneled Agile Routing Protocol (TARP). In a somewhat snarky post-trial comment, VirnetX CEO Kendal Larsen stated in a press release that its win "further establishes the importance of our paten portfolio." A VirnetX lawyer stated after the ruling that the company would file an order seeking to block "further use of its inventions." The company has slung similar claims against Microsoft (it won $200 million/UK£125/AUD$192 in that 2010 case), Cisco, Siemens and other firms. Apple, which denied infringement and maintained the technology covered in the patents is a small part of its systems, can appeal the decision.